A Supreme Court of India Bench comprising Chief Justice H.L. Dattu, Justice Amitava Roy and Justice A.K. Mishra has sought a response from the Kerala Government on Tamil Nadu’s plea that Central Industrial Security Force (CISF) be deployed for security of Mullaperiyar dam. The Plea had also sought that the Kerala government be barred from seeking environmental clearance from the ministry of environment and forests (MoEF) for constructing a new dam. Further, a direction has been sought from the court that Kerala be restrained from conducting the environment impact assessment for its new proposed dam at the site. Tamil Nadu Government brought to the Court’s notice that as per the previous judgment in the case, any new dam can only be constructed at the site with consent of both of the states. Tamil Nadu Government had approached the Supreme Court in February this year, seeking a direction that Mullaperiyar’s security be handed over to CISF. Currently, the security is handled by Kerala Government. The tug of war continued, as Tamil Nadu Government contended that the dam faces 'terror threat' from Pakistani outfits such as Jaish-e-Mohammed and Lashkar-e-Taiba, and therefore its security should be handed over to the CISF. 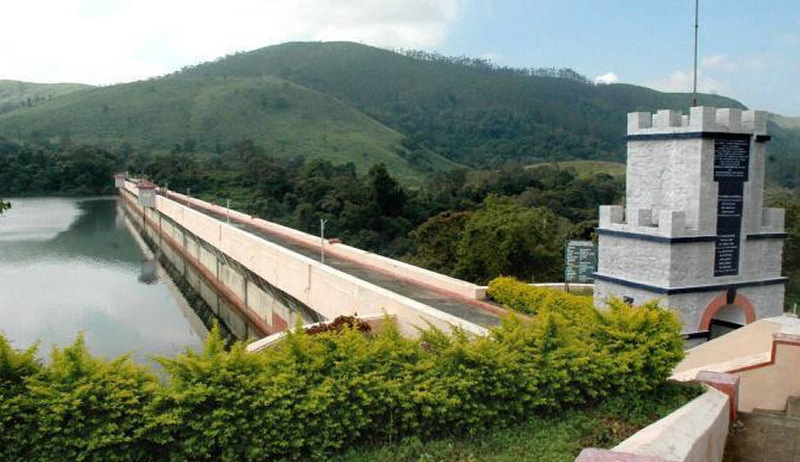 A CISF security is necessary to ward off such threats, the Tamil Nadu government contended while replying to the Centre's submission in the Supreme Court that there was no need for CISF at Mullaperiyar dam. An application was also moved by the Kerala Government, seeking clarification of the judgment dated May 5, 2014, by which the Supreme Court had allowed the raising the water storage level of the dam to 142 feet. However, the application was withdrawn by the state later saying it would go before three-member Mullaperiyar committee. On May 7 last year, Constitution Bench of the Supreme Court, comprising Chief Justice R M Lodha, Justice H.L. Dattu, Justice Chandramauli K.R. Prasad, Justice Madan B. Lokur and Justice M.Y. Iqbal held that the Kerala Irrigation and Water Conservation (Amendment) Act 2006 which was brought in response to the Court cannot sustain under the Indian Constitutional Scheme of things and that they should maintain the doctrine of separation powers. The Court held that the legislature should not be allowed to overreach the Court orders, and on that note the Act was declared unconstitutional. As a solace to Kerala, the Supreme Court has directed formation of a committee which would look into the periodical safety and other aspects. In a way Kerala has lost completely in the protracted legal battle with its neighbor Tamil Nadu. It is also observed that the Dam is safe and the height of water level can be raised. You may read the judgment and LiveLaw story here. You may read the issues framed and the findings of the Constitution bench in the case here. Reiterating its decision, the Supreme Court on December 3 last year dismissed the Kerala government's plea to review its May 7 verdict.